Your Hands-On Guide to ICS Risk Management. 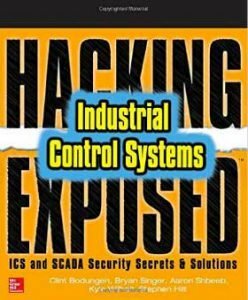 By exploring cybersecurity from an attacker’s perspective, this guide to ICS and SCADA cybersecurity “Hacking Exposed: Industrial Control Systems” follows in the same spirit as the wildly-popular Hacking ExposedTM series and has become the industry bible on ICS/SCADA/OT security. How to identify assets, OT network topology, data flows, and ICS/ SCADA vulnerabilities without impacting production systems. Hacking Exposed Industrial Control Systems: ICS and SCADA Secrets & Solutions. View author bios and purchase entire book here.